Group Design create and manufacture progressive lighting, furniture and home accessories from their studio in Walthamstow, London. 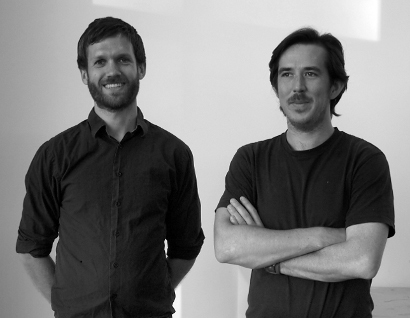 Designers Richard Wells and Jeremy Schotte combine their commercial, bespoke and architectural design experience with a passion for experimentation with form and material. Working on projects individually and as a partnership, they firmly believe that collaboration adds a richness and depth to the design process. Their design work is a response to technological, cultural and emotional needs, and ranges from bespoke/low volume items to products suitable for mass manufacture. They strive to design products that fulfill a chosen role with elegance and ease, avoiding unnecessary visual and structural clutter. With efficient use of form, local manufacturing processes and the highest quality materials, they intend their products to integrate seamlessly into everyday life. Richard Wells (b.1981). Studied product design at University of Brighton. Has designed domestic and specialist lighting products for major high-street retailers, architects and interior designers. Jeremy Schotte (b.1980). Studied product design at University of Brighton. Furniture designer/maker with experience creating fitted furniture and architectural detailing for high end residential projects.